The campaign bells are silent and the town criers have all gone home. Now its time for a reality check and search for an answer as to why Sierra Leone’s foreign minister Samura Kamara, failed to convince the Board of the African Development Bank that he is the best man for the presidency. In short, Samura has done himself no favours, nor has his campaign team understood how institutions like the ADB which are very well governed, function. Those values and philosophy, also explain why the likes of Samura Kamara would find it very difficult to be entrusted with the leadership of such an institution. Critics would say that by Sierra Leonean standards, Samura’s performance as finance minister was at best very mediocre. First as Finance Minister of the 1992 military junta, whose fiduciary governance and stewardship has been strongly questioned. 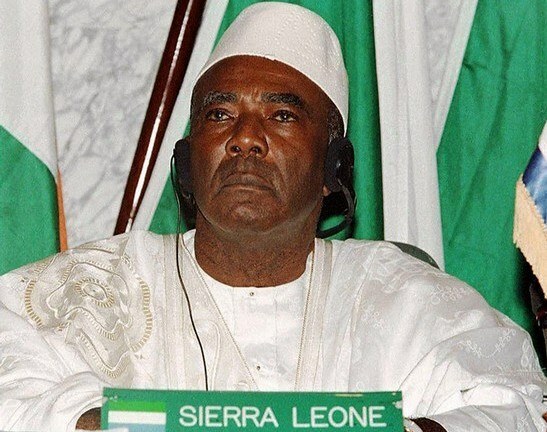 And then, in 2005 Kamara was appointed financial secretary in the ministry of finance of the Tejan Kabba (Photo) SLPP government, which was also accused of presiding over massive corruption and poor management of public finance. And in 2009, Samura was brought into the Koroma government as finance minister, after the sacking of the incumbent minister David Carew, so as to steady a sinking ship. By all accounts, Samura not only failed to steady the ship and bring sanity to the country’s financial management, but also failed to control spiralling public spending. Public sector workers and private contractors were not getting paid. There was no money in the government’s kitty. Prices of basic necessities and interest rates were spiralling out of control. A bag of rice selling a year earlier at seventy thousand Leones, was being sold at over two hundred thousand Leones. The Koroma government’s economic policy – managed by finance minister Samura was in tatters. After months of confusion and paralysis caused by the poorly introduced GST, overall tax revenue declined significantly. This further worsened the government’s inability to implement its Agenda for Change that had promised so much, yet delivering very little. Relationship between finance minister Samura and DFID – sponsors of the development of the country’s National Revenue Authority (NRA) hit rock bottom. A confidential report questioned Samura’s stewardship of the NRA in particular, and the country’s economy in general. The minister’s relationship with the senior management of the NRA was less than cordial, as DFID threatened to withhold funding until key performance measures were met and the minister’s stranglehold of the NRA loosened. 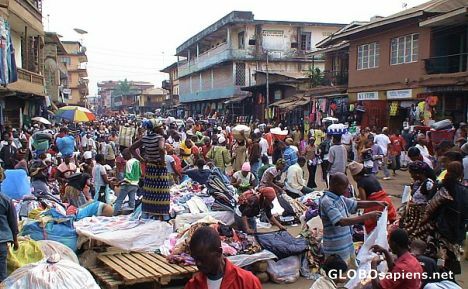 Local businesses in Sierra Leone suffered massive cash flow difficulties, as cost of borrowing went up and the economy went into free fall. Thanks to the injection of over $100 million dollars into resuscitating the country’s ailing iron ore mines by African Minerals, a lifeline was thrown to minister Samura. With the exception of the surge in iron ore exports in 2011, other sectors of the economy were lagging behind and Samura remained clueless. The economy was slowing down and heading for another recession despite the rest of the world coming out of a recession. 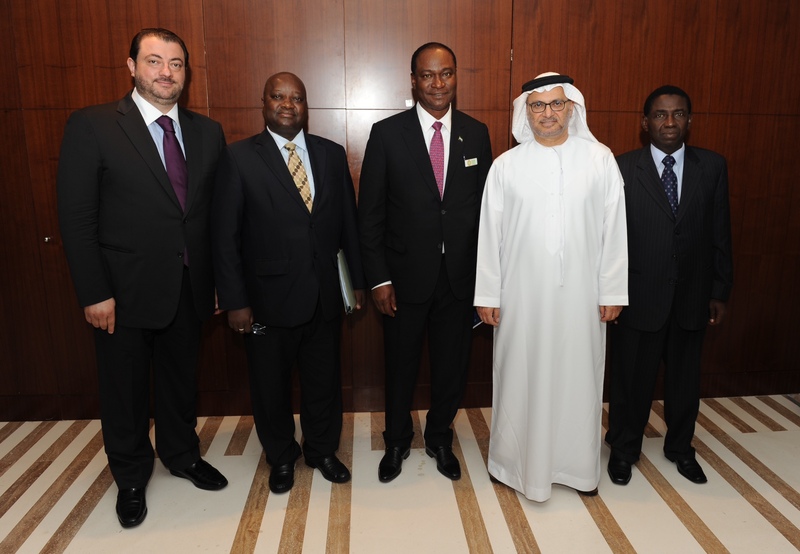 If there is one lesson to be learnt from the failure of minister Samura’s quest for the presidency of the African Development Bank, it is that whilst Samura may be regarded as a giant by his fans, in the wider scheme of things on the African continent – clearly he is a midget that is trying to box above his weight. He was given the opportunity to transform the lives of 6 million people in a country with a GDP of about $3 billion by successive governments, but he blew it. This article is copyright reserved. Strictly not for republishing. The potential energy of the political pendulum which swings between the APC and SLPP parties has reached its absolute ZERO. Change has come to Sierra Leone. A brand new party, THE NORTH EAST WEST AND SOUTH(NEWS) ALLIANCE FOR NATIONAL DEVELOPMENT is at hand. This is the ultimate game changer which will champion the Wellbeing of all citizens and friends of Sierra Leone, Nation Building and other forms of development ignored by the APC and SLPP from 1961-2017. This is the KOMRAH PARTY where equality prevails. Actually, after following an interview of Dr Samura Kamara on Aljazeera before the African Development Bank selection process, I felt disappointed with his performance in that interview and knew straightaway that he wouldn’t get the job. For the position on offer in such an institution like the African Development Bank, all short listed candidates have proven qualification, what is needed is someone who can project a good image of the bank through impressive professional performance and can standout among his peers. Dr Samura seems to lack all of these qualities. Sierra Leone government made the wrong choice of candidate. Sierra Leone has got better professionals. For President Koroma the only qualification for leadership is to belong to the Limba ethnic group. He is a tribalist who has surrounded himself with sycophants that are capable of only mediocre results. My greatest criticism of the APC has always been their appetite for putting the most incapable in power. A president needs to have a clear agenda on how he plans to transform his nation. He needs to get the best experienced minds in the nation to become part of the executive; and lastly he needs to monitor the progress of those he appoints. President Koroma has been a complete failure and unfortunately his party may still retain power because the base from which he operates – the north, is the largest in terms of population and votes, and the main opposition party is at its most divided point in history. The Foreign Ministry is a basket case ever since the decision was taken to run it as a closed shop, and the country’s diplomatic service continues to suffer from paralysis. That Ministry was once the flagship (excuse the pun) Ministry of the country which attracted fine and enlightened minds. Now though, because of the isms some personnel have been eased out, and what you find there – with very few exceptions that you can count on the fingers of one hand – are half-baked personnel who cannot string two sentences together correctly. You should read some of the correspondence(s) emanating from the Foreign Ministry, or listen to the use of the official medium of communication by some officials there – it will make your eyes and ears burn! How can anyone expect president Koroma to be able to manage people, money and resources of a country when he never had the experience or knowledge that the rigor of academic studies as well as practical on the job learning gives you. That man should never have gone anywhere near governing a country. An insurance seller in a non-competitive insurance market pretending to be an excellent entrepreneur? Please don’t make me laugh. But then this is Sierra Leone, where a one-eyed man is king in the land of the blind. President Koroma promised to conduct performance review of all his ministers. But one can only expect him to pay lip service to this task because he has no clue what performance management means. He would not know what a culture of performance management looks like even if it smacks him in the face. None of the so called ministerial performance review reports has been made public since 2007, because the results are disgraceful. The reviews were poorly conducted and the outcomes dismal. Sierra Leone is a lost cause. All we can hope for is that soon rather than later, the education of the next generation will be prioritised and only then will we be able to raise standards, from governance to citizens behaviour. President Koroma, Samura Kamara and most politicians here in Sierra Leone are all products of a broken system and rotten culture of performance. I agree, Samura should now tender his resignation and give chance to someone else who is committed to the job of heading the foreign ministry. If Samura is not competent enough to serve the people and government of Sierra Leone, why does he have to be retained in positions that others could handle so well to salvage the economy of Sierra Leone? President Koroma surely needs to make a performance review of some of his officials and take the next positive step for the benefit of the people of Sierra Leone. Mind you, Rwanda was as devastated by war as Sierra Leone was but its rapid development should be an eye-opener for Sierra Leone.